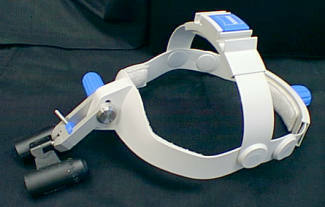 An alternative to microscopes are surgical loupes. 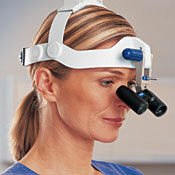 These are the type of loupes surgeons and dentists use. There are quite a few brands available, but by far the best, and the clearest and brightest, are the loupes made by Carl Zeiss. They are available in a variety of powers (4.5x to 8x) and working distances. 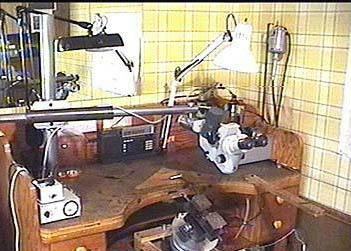 A stereo microscope can be a great aid to the engraver who desires to engrave intricate designs. There are a variety of brands of scopes that will work for engraving, including American Optical, Olympus, Meiji, Bausch & Lomb, Zeiss, Wild, and Nikon. The scope I favored for eighteen years was a Bausch & Lomb. I'm currently using a Zeiss Surgical OPMI1. Bausch & Lomb no longer makes scopes. I believe the company merged with Leica, or was bought out. It is still possible to find B&L scopes. Sometimes nice scopes at reasonable prices can be found on ebay.com. B&L made a nice boom stand, and finding a scope with the boom stand would be ideal. B&L also made scopes with fixed power, however, they do not work well for engraving. Watch for the ones with variable zoom. $800 is probably about the going rate for a B&L scope in good condition on ebay. 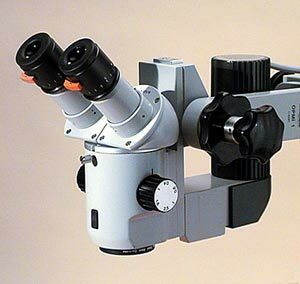 I believe Meiji microscopes have the same zoom power that the old B&Ls had: 7x through 45x, with 10x eyepieces that give a 3.6" working distance. A .5x reducing objective can be added, which makes it 3.5x through 22.5x with the 10x eyepieces, and the working distance increases to 7.2". I used a B&L scope without a reducing lens while engraving, but if more clearance was needed (i.e. 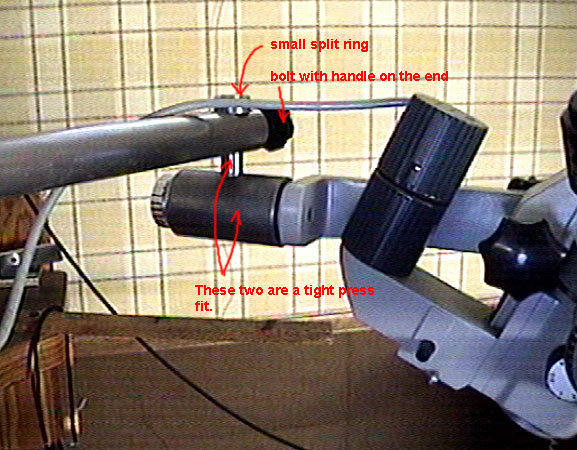 sawing with a jeweler's saw under the scope), a reducing lens would have doubled the distance and cut the power in half. Zoom Information Tip The zoom of the Zeiss OPMI 1 doesn't "zoom" like most other scopes. Instead, it has a separate fixed lens for each power. There are a total of 5 powers that are clicked through as you turn the dial on the side of the scope. Fixed lenses are clearer and brighter than an adjustable zoom lens, which is also true with camera lenses. If a traditional zoom scope is going out of focus when zoomed from one extreme to the other, this can sometimes be adjusted simply by setting the height at the point that the eye pieces are setting in the eyepiece tubes. If you can pull an eyepiece up slightly and it will stay, try going through the zoom to see if it is better or worse. It takes some trial and error, but sometimes this is all that is needed. If it does improve, take a look at how the eyepiece tubes are connected, and check to see if they are adjustable in height. This way you can adjust the tube height instead of the eyepiece itself. Since the Zeiss OPMI1 uses a different lens for each power, this tip won't work with it. 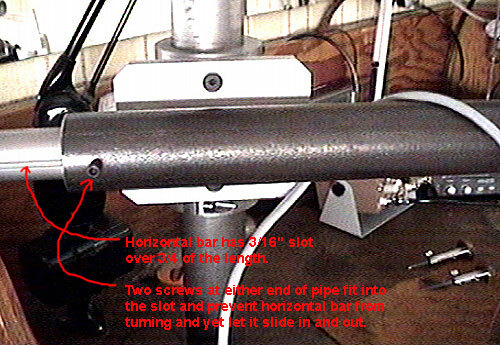 The barrel mechanism in the body of OPMI1 scope holds each lens. These are adjustable independently of each other should you find one power to be out of focus compared to the others. 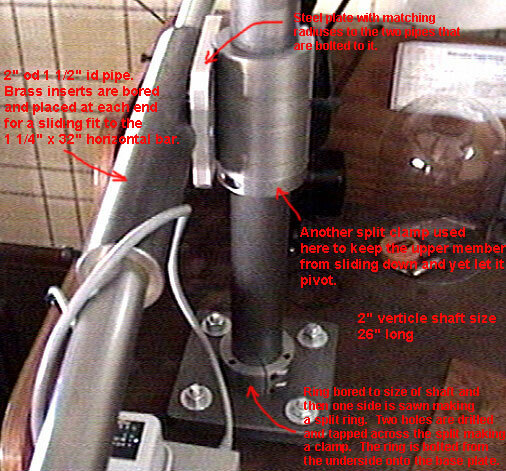 The Zeiss OPMI1 scope I'm using did not come with a stand, and I ended up making my own. Below are pictures of it. I wanted it to be as rigid as possible to prevent vibrations, and also to have a long reach for engraving items such as gun barrels. I'm sure the stand could be made with some revisions, but if you build your own, the pictures might help to give you some ideas.